Move over, Orlando. 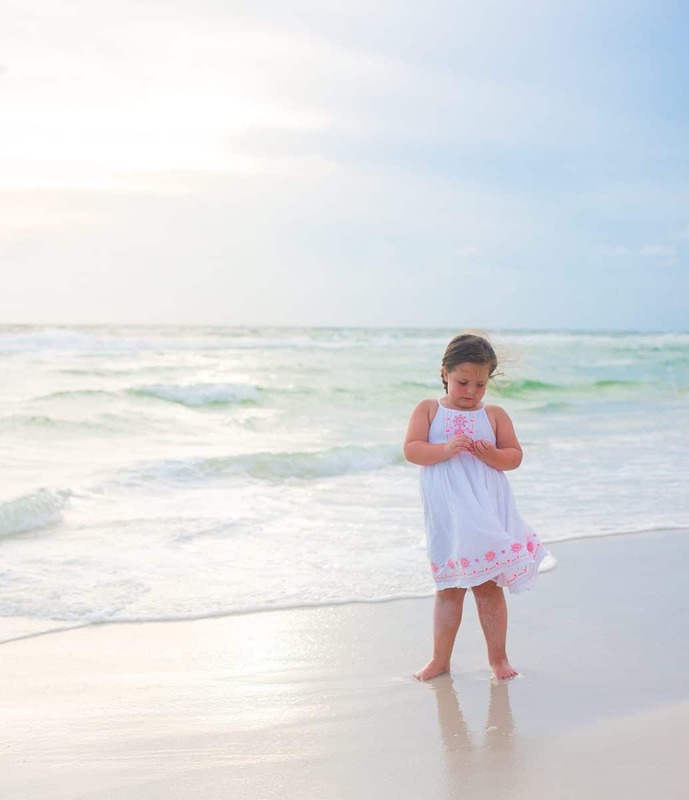 There are no words to describe how deeply you will fall in love with Panama City Beach, Florida. 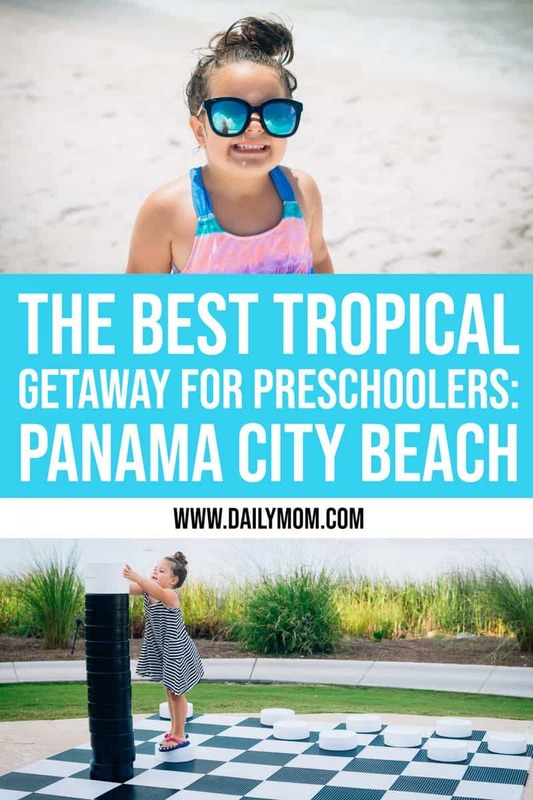 There are so many things to do in Panama City Beach with toddlers. 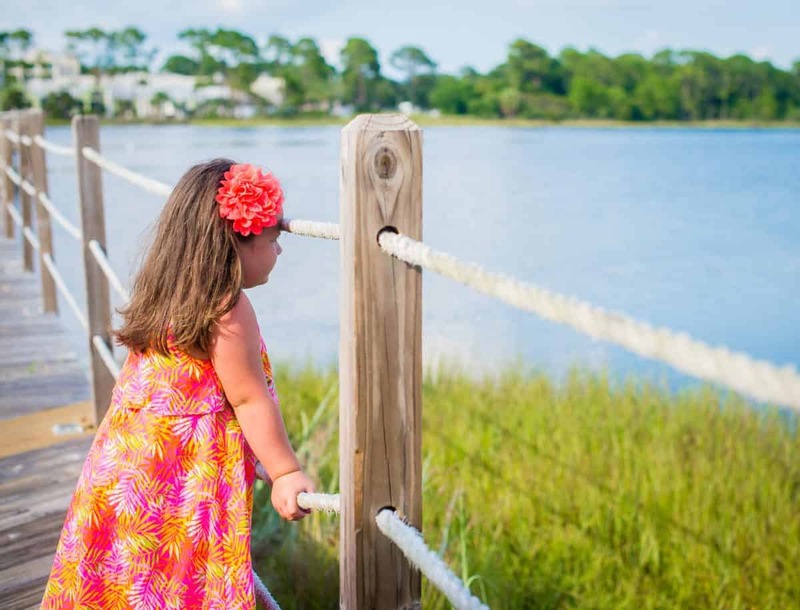 This is the most family-friendly destination that you could imagine, bursting with affordable activities, sunshine, delicious food, and a whole lot of heart. 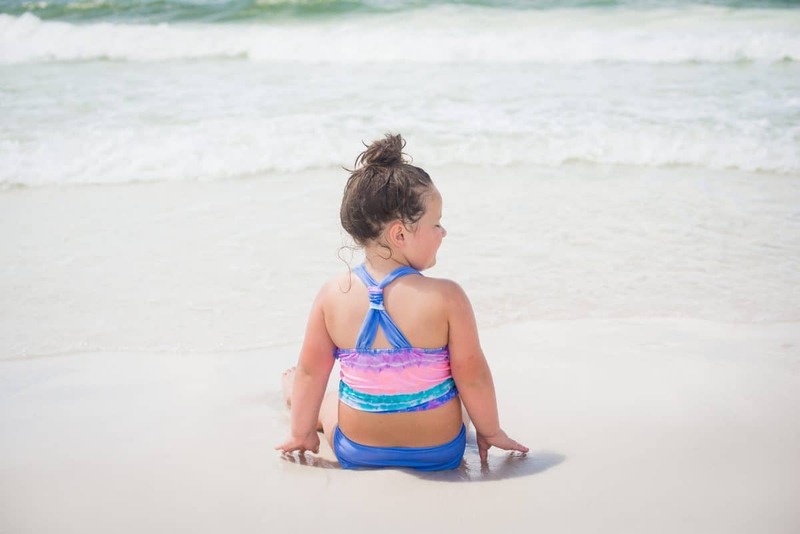 Panama City Beach is coming back stronger and better than ever after Hurricane Michael, and it is hands down one of our favorite vacation destinations, ever. 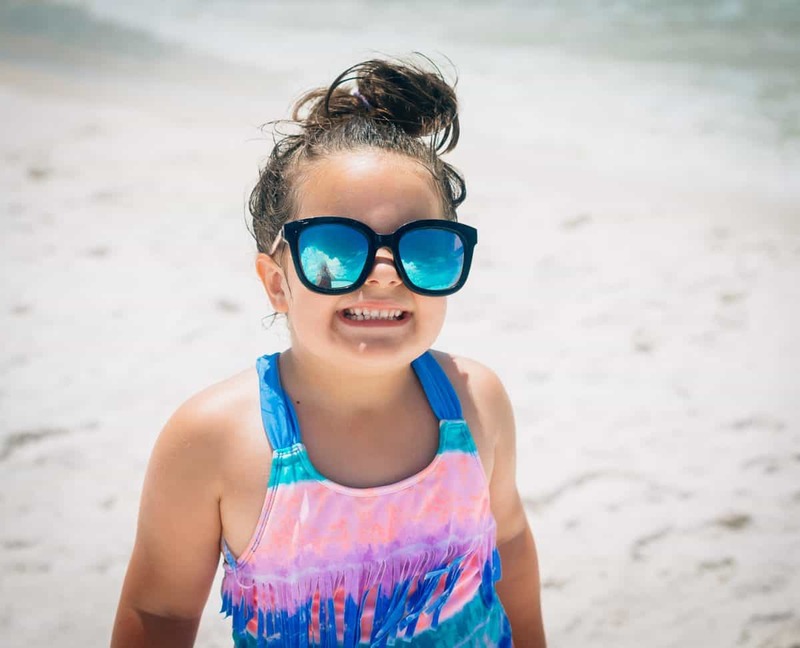 You are absolutely going to want to put Panama City Beach on your vacation plans for 2019, and we're here to help you make sure you hit the best spots for families. During our trip, we were already planning a return visit! 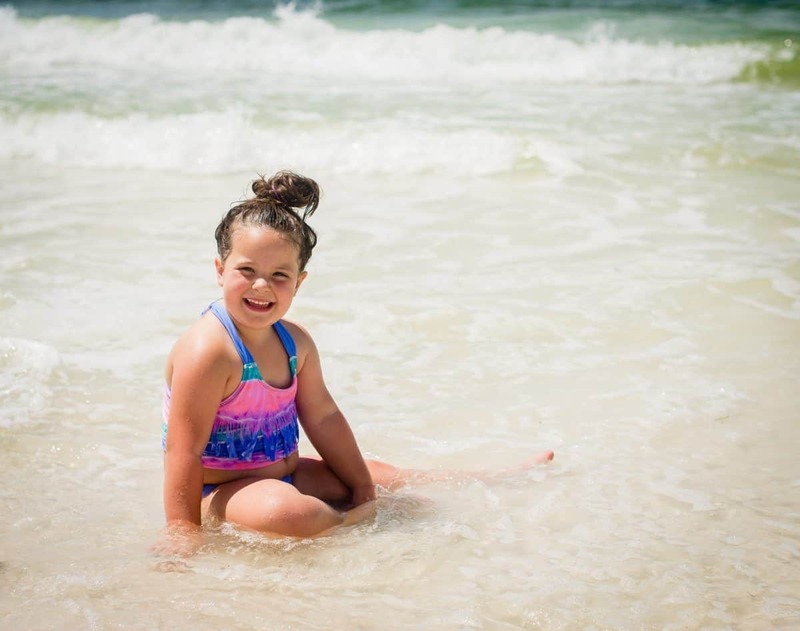 Here is a list of our favorite places to bring your little ones to when visiting PCB. 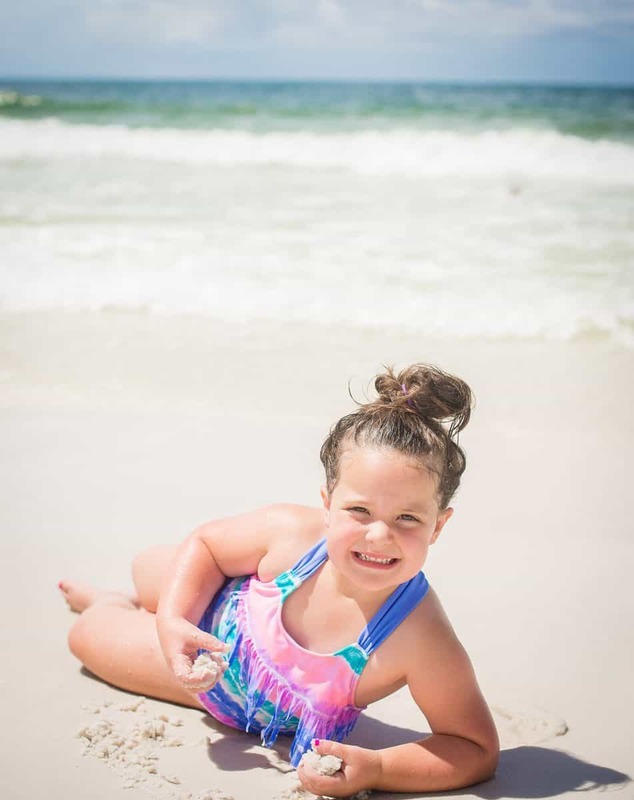 We did say that Panama City Beach is paradise, right? And the Sheraton Bay Point is the best place to enjoy this tropical slice of paradise. 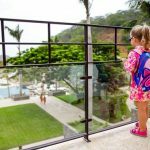 We cannot say enough about this resort - from the incredibly helpful and friendly staff, to the views, outdoor dining, pools, activities, and carefully manicured greenery. 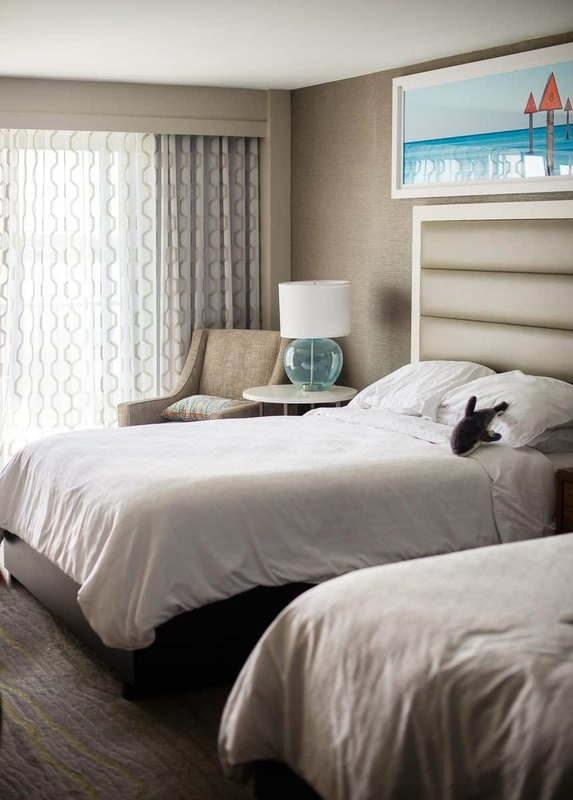 If you are going to Panama City Beach, this is absolutely the best place to stay. 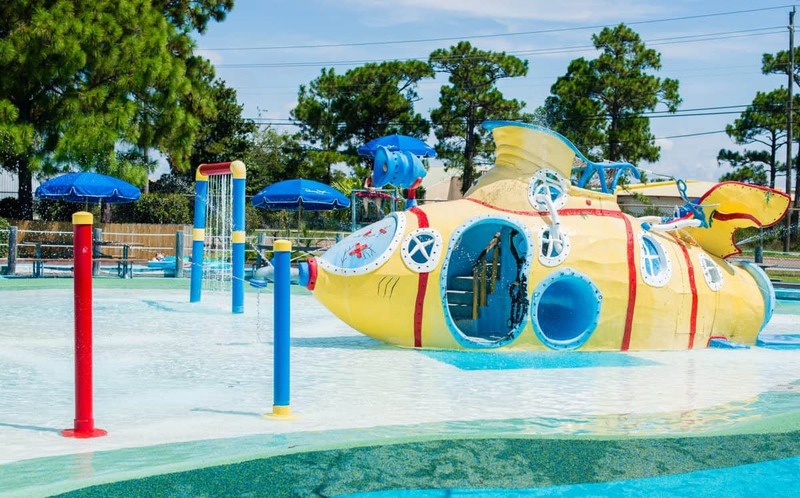 It recently went through a multi-million dollar renovation, and is picturesque, serene, relaxing, and fun. 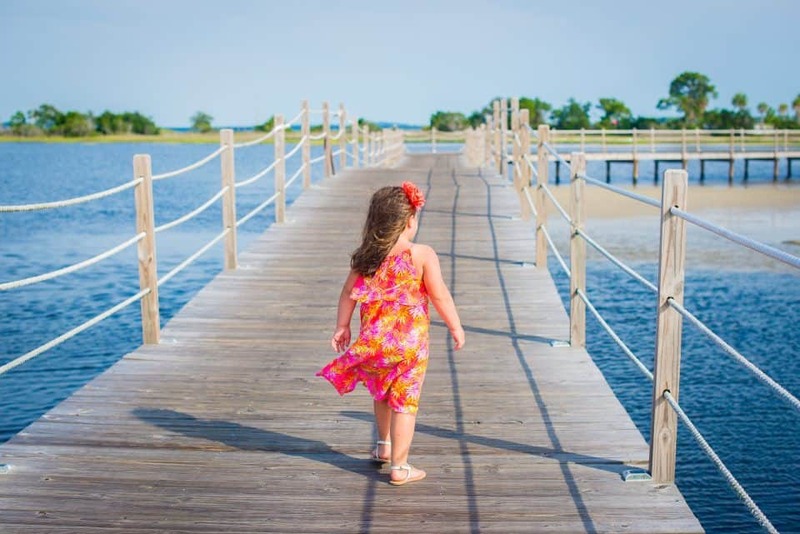 The resort features waterfront views and its' own private beach (which is a stellar place to catch hermit crabs! ), multiple restaurants, kid's room full of games, and three different outdoor pools. 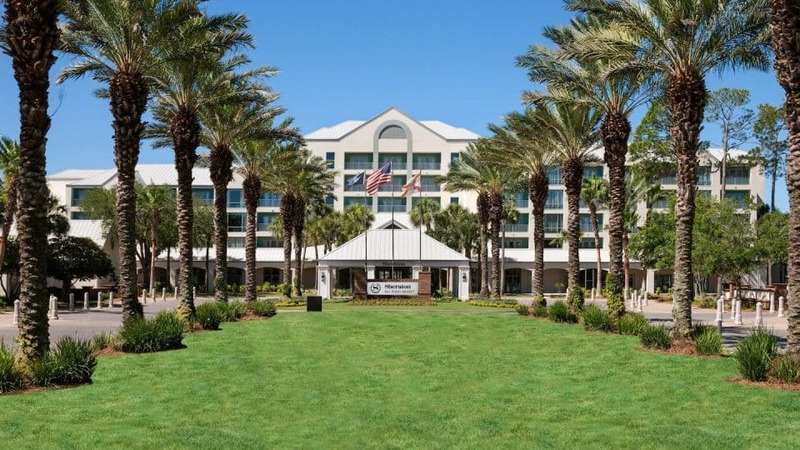 There are several incredible restaurants on site (see below for our phenomenal experience at Flip Flops Pool Bar), a Starbucks cafe, two championship golf courses, fitness center, and spa. 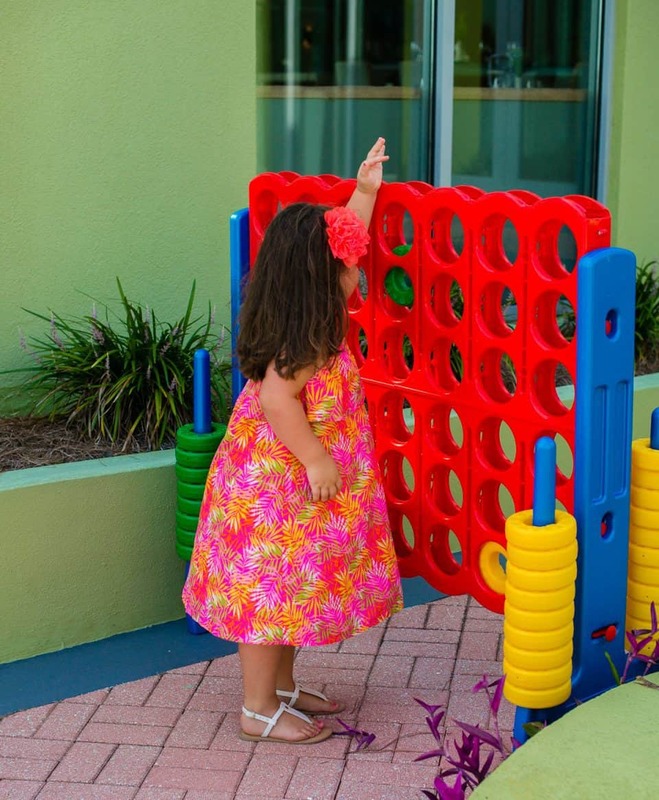 All throughout the resort, you'll find life-size games like checkers and Connect 4, a sure hit with the littles. One of the most fun parts about the Sheraton Bay Point are the staff-operated golf carts that take you around the expansive property. 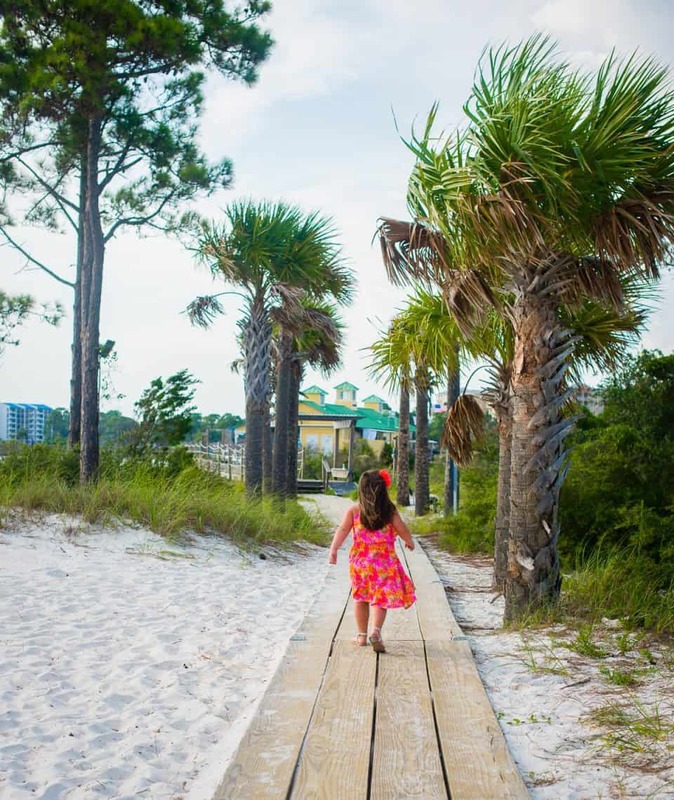 Want to catch a ride down the boardwalk to the beach? Just hop on a cart and fly! The views here are simply breathtaking and this truly is a little piece of tropical paradise in Florida. White sand, tall palm trees, and a cool ocean breeze. What could be better? Nothing. 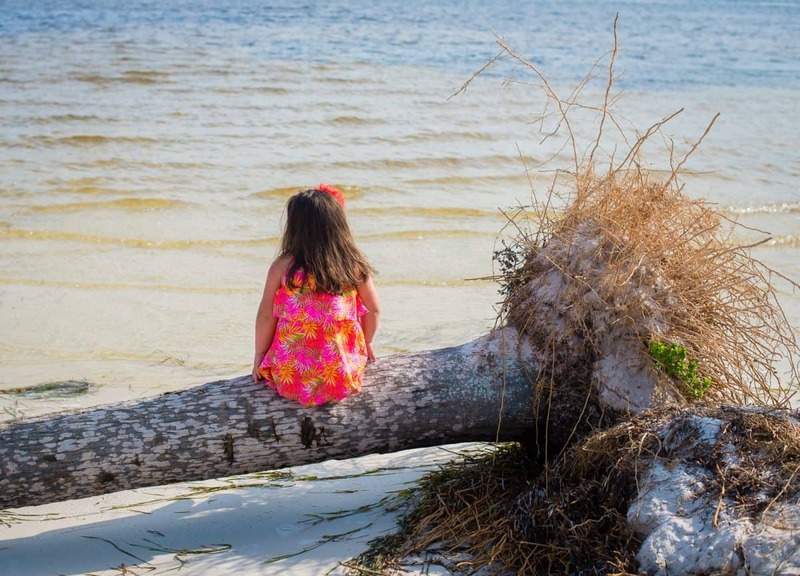 Shell Island is a Panama City Beach must-see, and the very best way to get there is the Shell Island Shuttle. 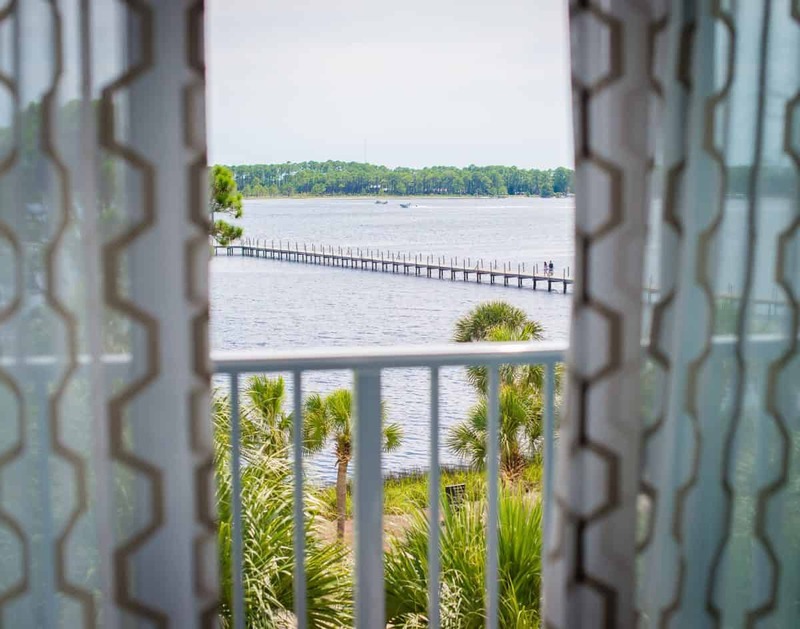 Shell Island is a natural, undeveloped, 700-acre barrier island, with the most pristine, soft sands you'll see anywhere, and stunning crystal clear aqua waters. 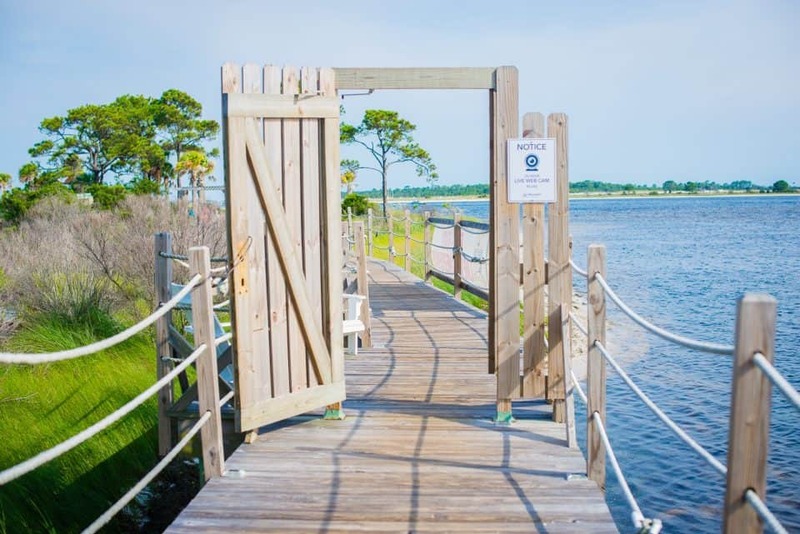 The Shell Island Shuttle will take you straight to the island, and is the fastest way to get there - giving you the most time to enjoy this slice of paradise. On the trip to Shell Island, you'll pass through waters that are home to one of the world's highest concentrations of bottle-nose dolphins, so it's pretty much a guarantee that there will be dolphins swimming aside the boat on your trip. 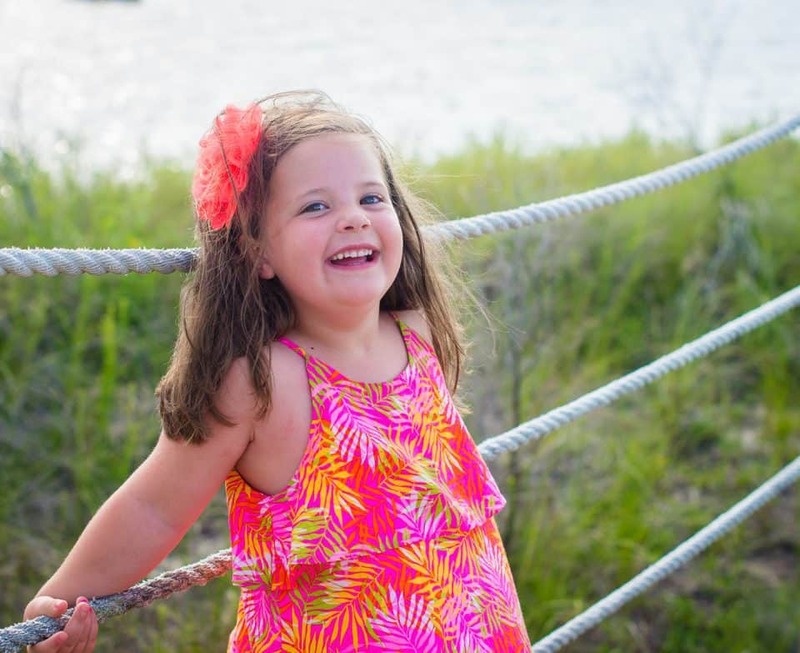 Your child will delight in spotting the dolphin fins popping out of the sea, and watching them glide up and out of the water again and again. 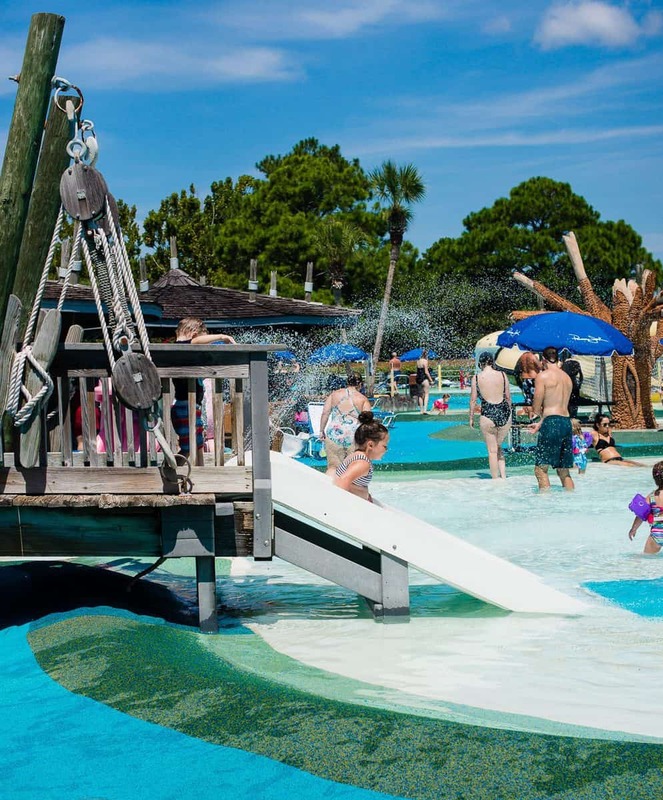 Awarded the #3 waterpark in the US and #13 waterpark in the world, no trip to Panama City Beach is complete without a trip to Shipwreck Island. 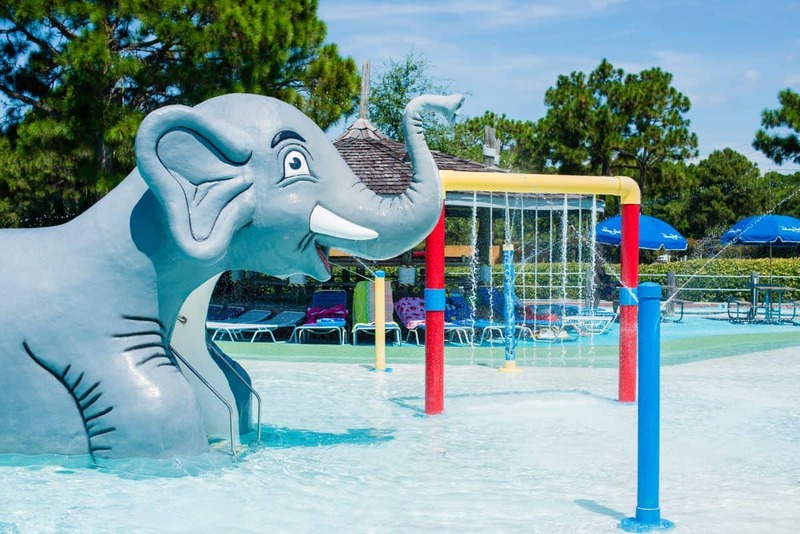 Boasting twenty acres, and a peaceful, tropical vibe with loads of beautiful landscaping, impeccably clean, and the yummiest park food we've had at a water park (and alcohol available for the parents!) 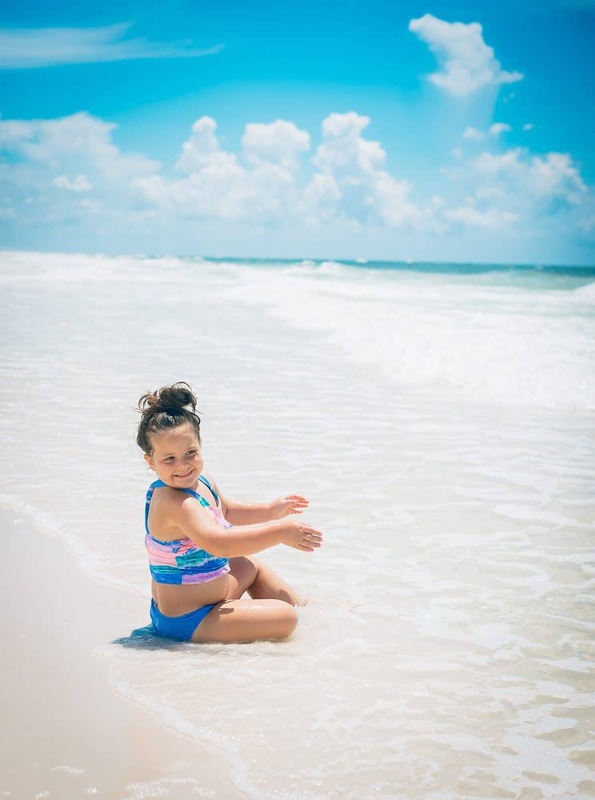 this is the place for the most fun things to do with your toddler in Panama City Beach. 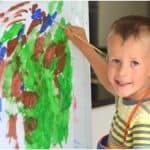 There is a massive kiddie area - The Tadpole Hole - perfect for the toddler set or anyone not confident in their swimming skills. 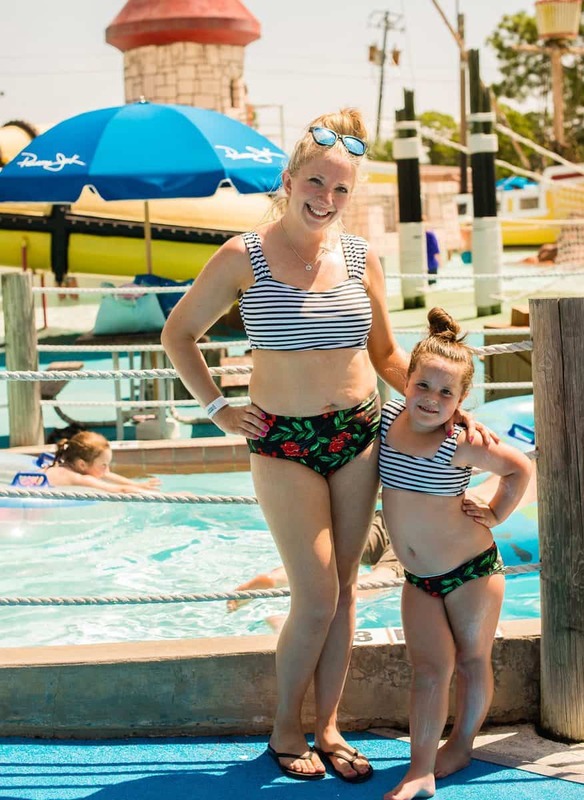 We couldn't stop floating around the Lazy River, and it was a trip favorite that is still discussed regularly. 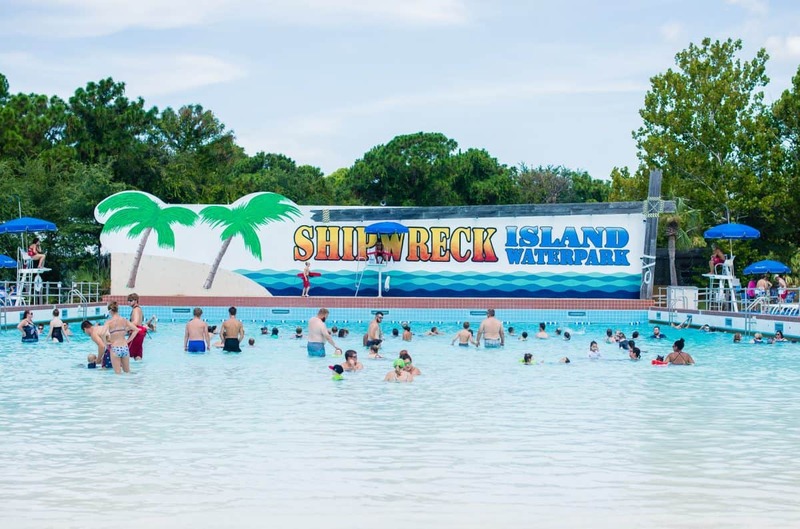 Shipwreck Park has a gigantic 500,000 gallon wave pool, tube slide rides, racing slides, a zipline with a drop into a pool, flumes, high-speed slides, and more. 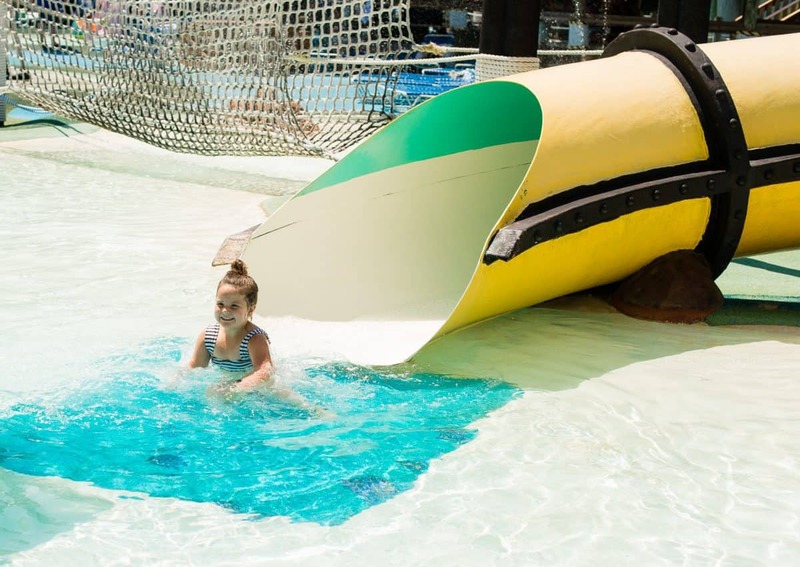 You'll spend hours and hours here, having the most fun you've ever had at a waterpark. 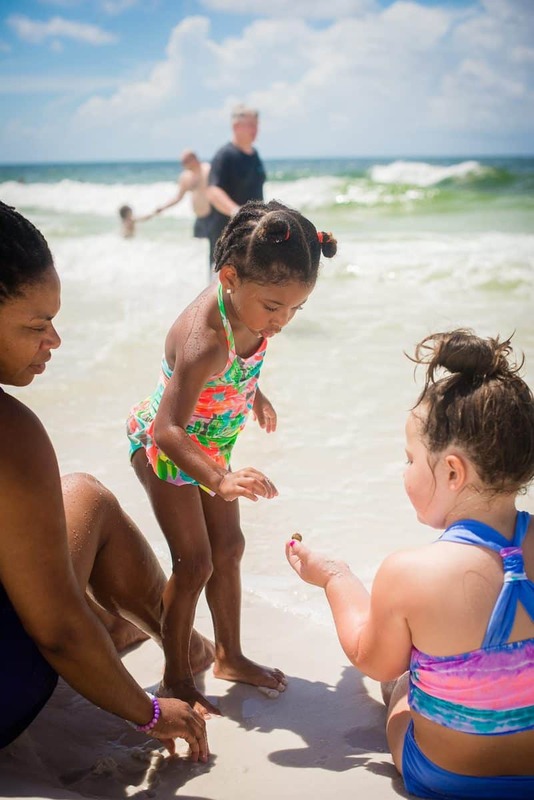 It's truly one of the best ways to beat the heat and have a blast in Panama City Beach. 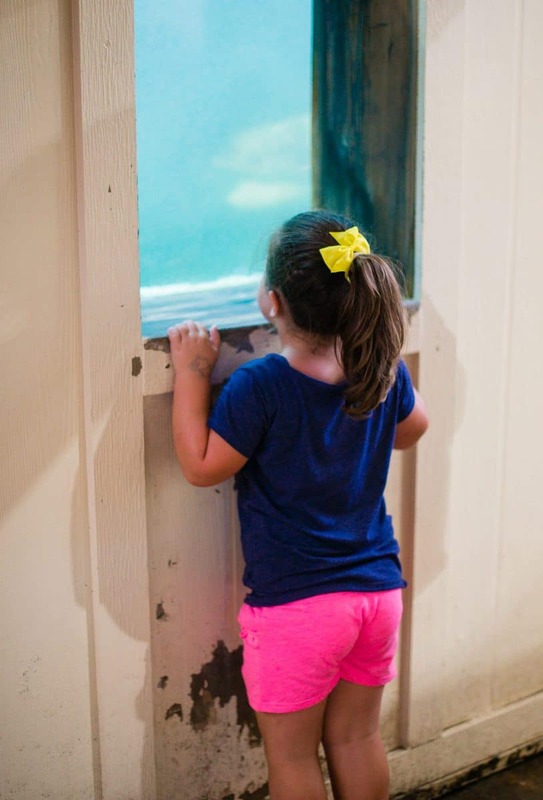 Nestled in the strip of Panama City Beach, is Gulf World, a marine park that has been entertaining families and saving marine animals for over 20 years, our favorite educational thing to do with toddlers in Panama City beach. 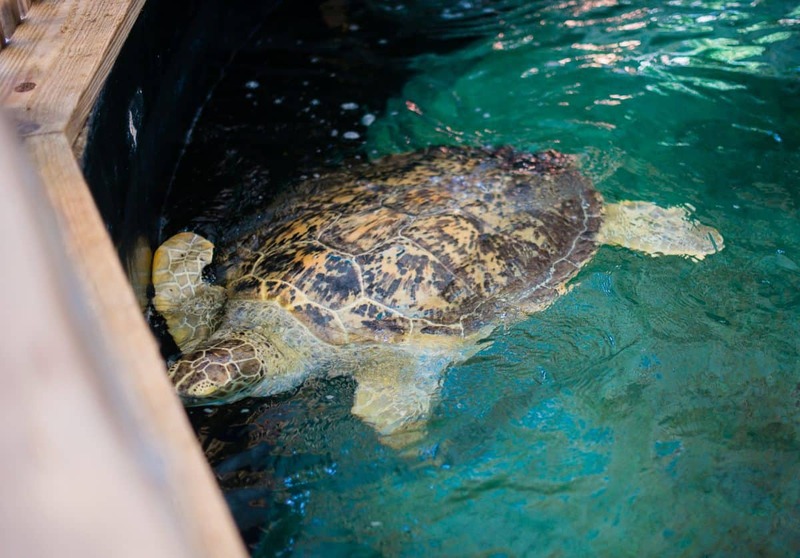 Gulf World has a host of marine animals, including bottlenose dolphins, California sea lions, harbor seals, penguins, tropical birds, stingrays, and African penguins - as well as the only collection of rough-toothed dolphins in long-term human care in North America. 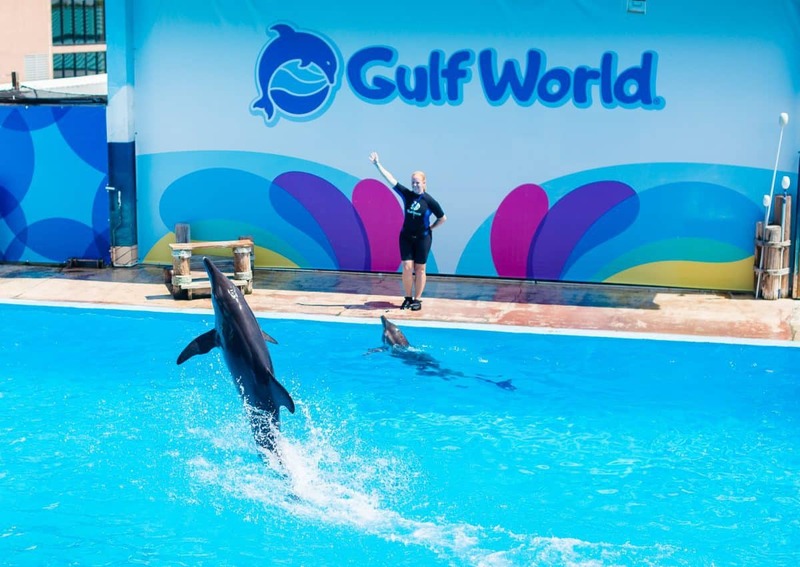 Gulf World has several very hands-on exhibits, from touching stingrays swimming in a large pool, to swimming with real dolphins, to participating in the marine life shows. 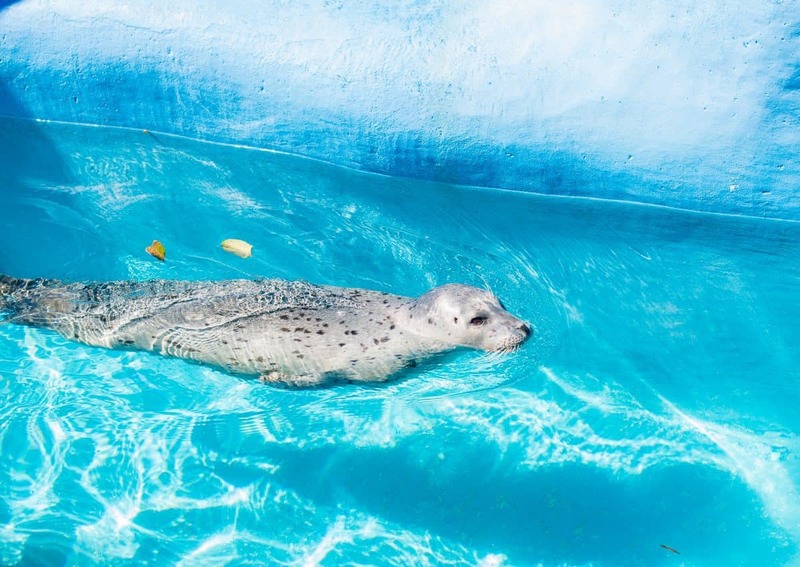 They even offer a "VIP Sea Life Experience" program where visitors can directly interact with California sea lions, harbor seals, African penguins, stingrays, and rough-toothed dolphins. 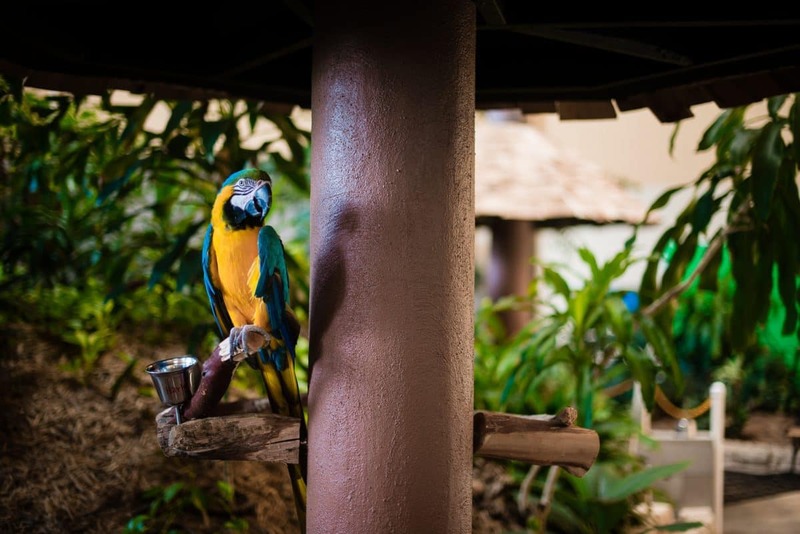 The beautiful indoor garden is a great place to learn about tropical birds, see snakes, and visit giant turtles. 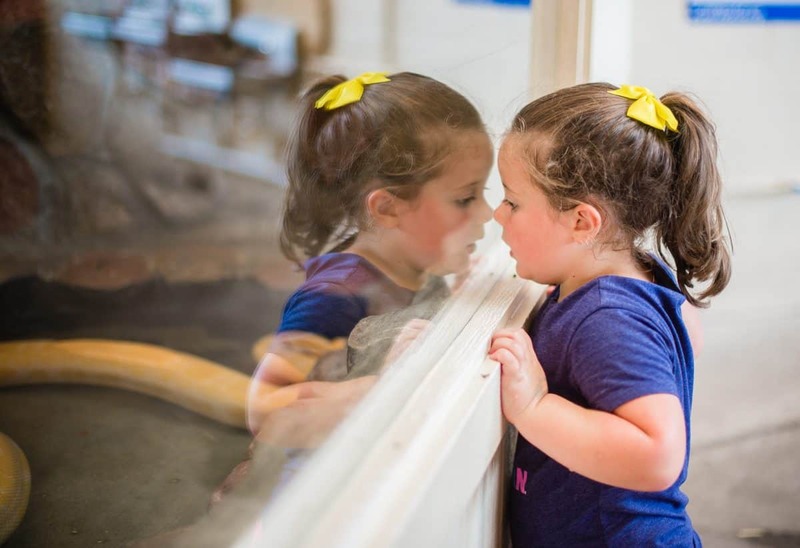 Each day a multitude of educational talks and shows are available for visitors, so your little one will learn a great deal - in a fun environment - every time you visit Gulf World. Wow. Just wow. Sometimes hotel restaurants can be underwhelming, but that is not the case with Flip Flops Pool Bar. In fact, we are still dreaming of the incredible meal we had there. 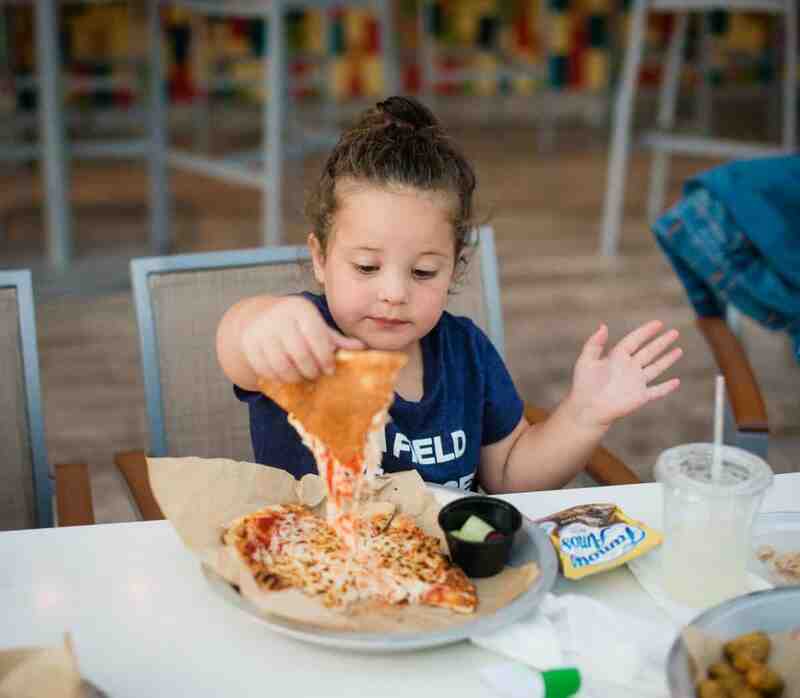 Grilled fish tacos, kids pizza that's actually handmade and not from a box, avocado fries, and the most amazing appetizer you'll ever taste - a smoked tuna dip (a local delicacy!) - this was hands down a trip favorite. And some super yummy mixed drinks for the adults. You'll dine outside in the warm, perfect Florida air, overlooking the resort's pools and ocean, all beneath swaying palm trees. 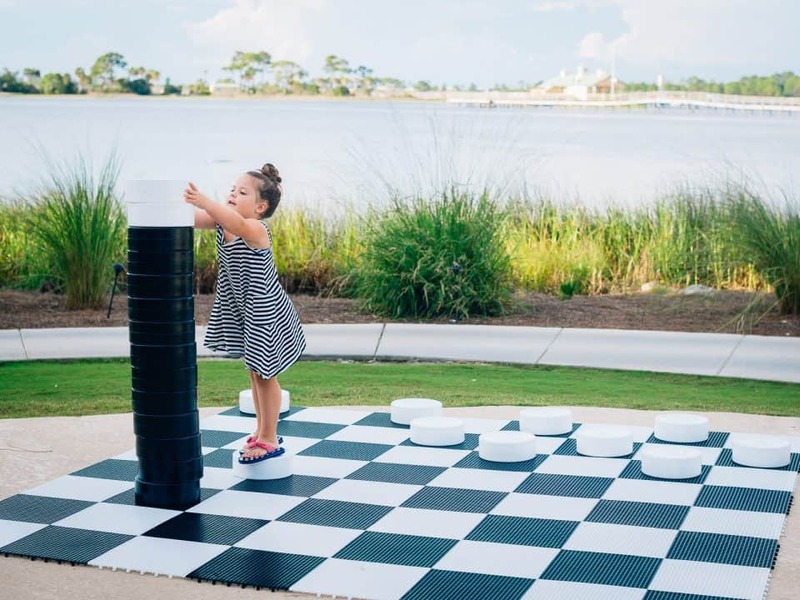 The setting could not be more picturesque, and it's a phenomenal spot to dine with children, because there's plenty of space, fresh air, and room to run around and even play the life-size checkers game that's just a step away. 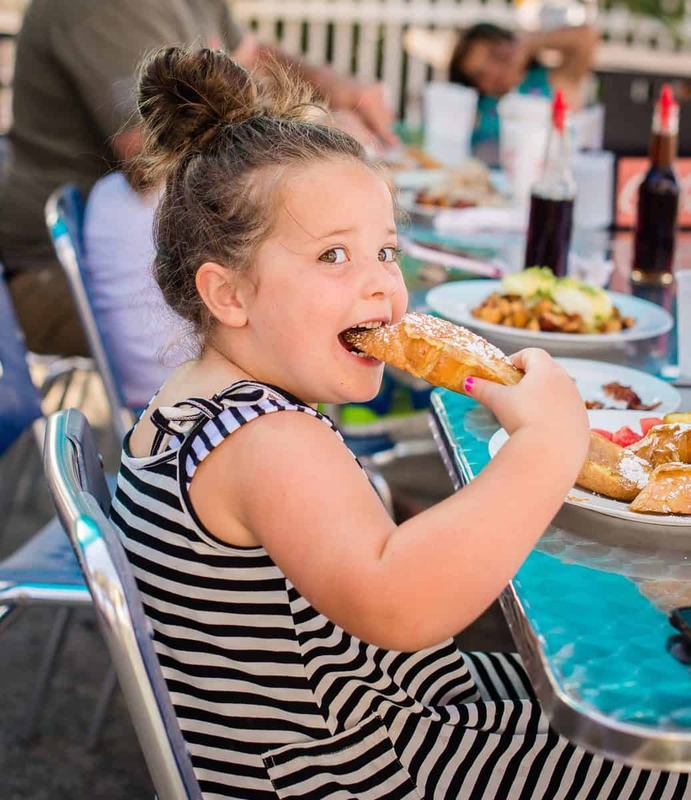 Andy's Flour Power is a Panama City Beach staple - no trip would be complete without a visit here. 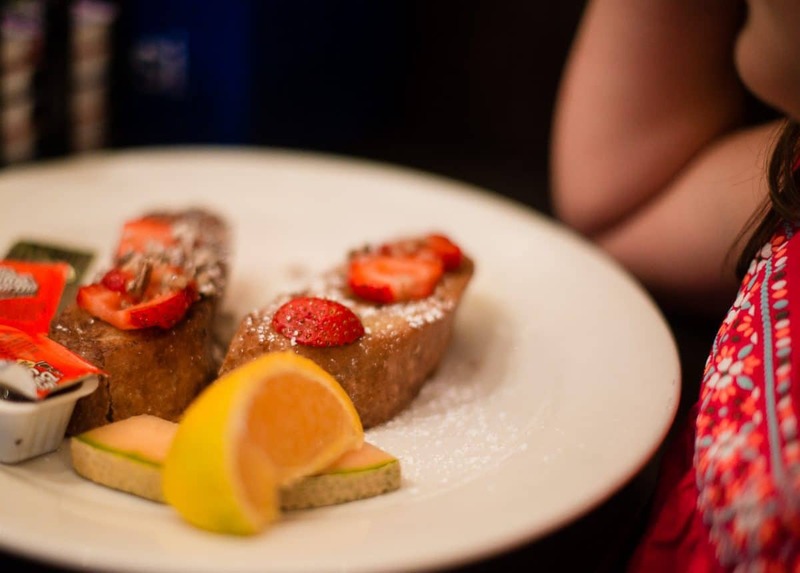 The food is exceptional - breakfast staples like pancakes, French toast, and eggs, but with unique twists. 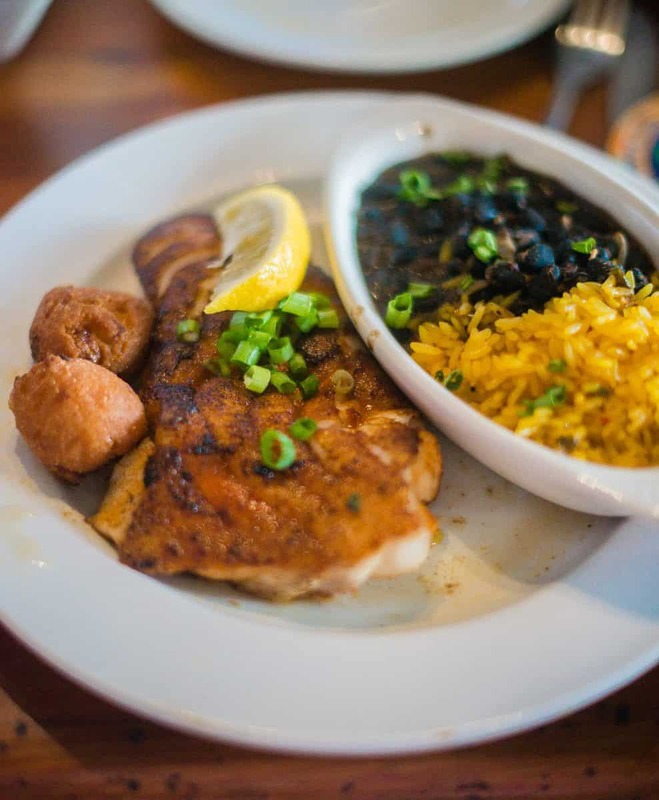 Every single thing served at Andy's is prepared in house. 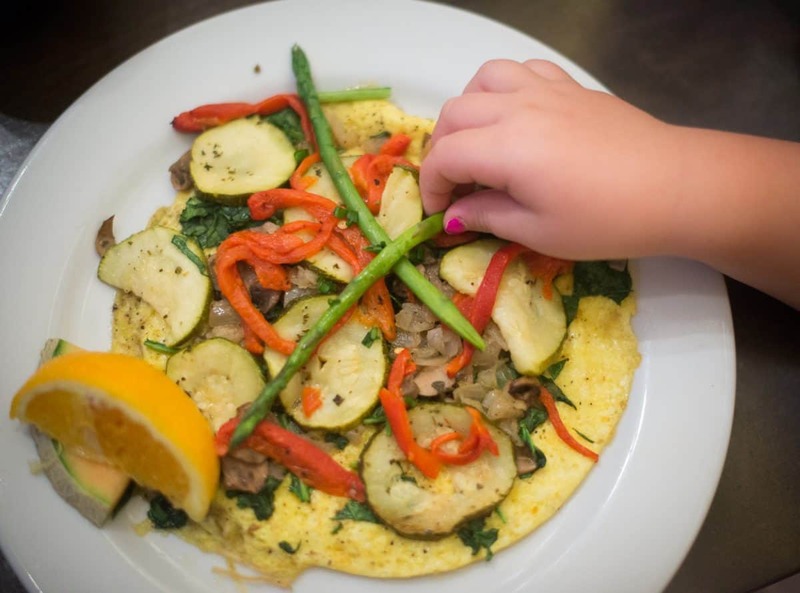 Roasted peppers on your omelette? Roasted fresh daily. Sauces? Made fresh each morning. There is nothing served at this restaurant that has been made elsewhere. And customer service? Nailed it. 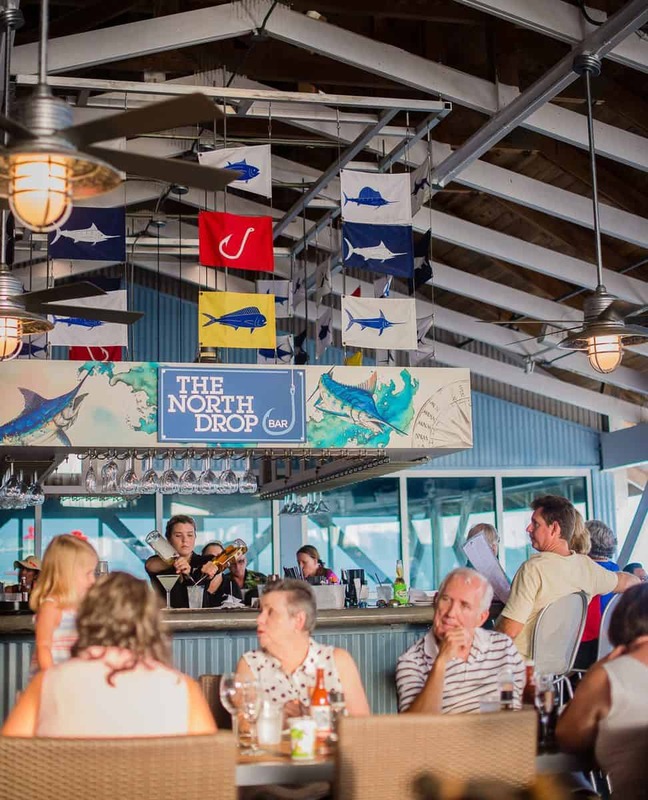 This is the friendliest place to have a great meal, and the owner goes to great lengths to make sure every guest has a wonderful dining experience. 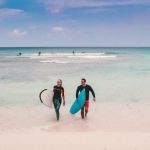 When you're traveling, it's always a good idea to go to the places the locals love, and Andy's Flour Power is the place to be for locals and tourists alike. We promise you will not be disappointed. 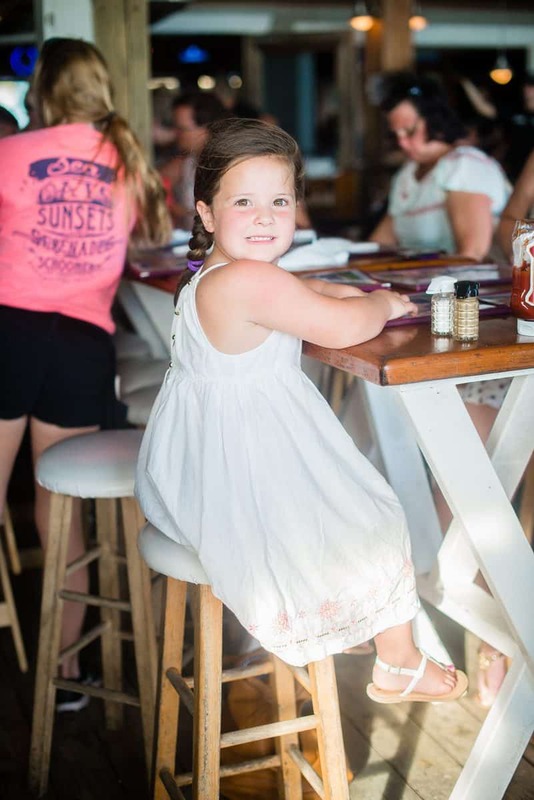 Schooner's Last Local Beach Club is located in the heart of the strip in Panama City Beach, right where all the action is. This is truly a PCB landmark, and a must-see for anyone who visits this beach town. The food is phenomenal, the view are out of this world, and the atmosphere is beyond fun. 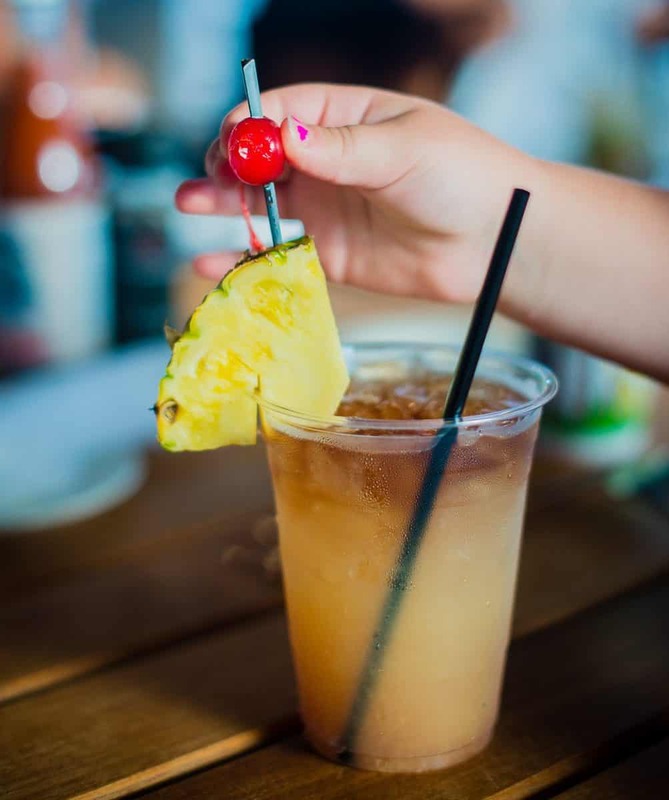 There's live music, incredible cocktails, and a cannon that's shot every night at sunset (which is a kid-favorite!). 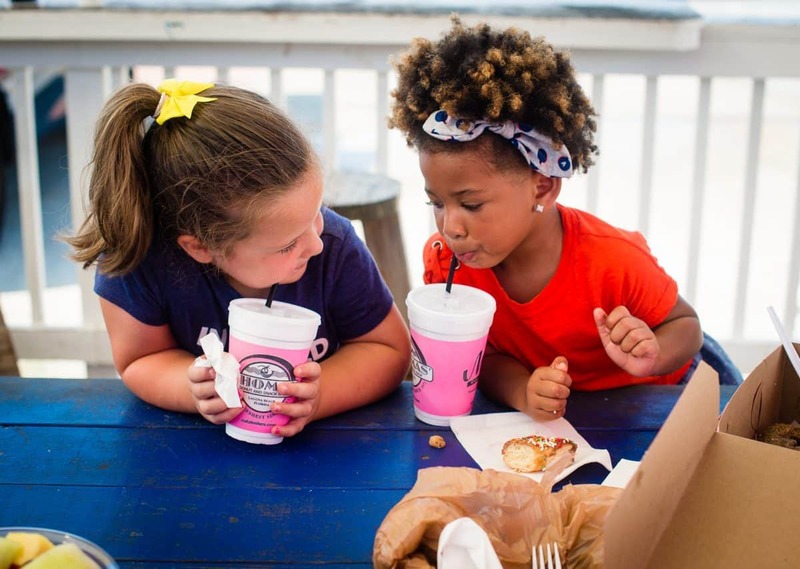 Schooner's is nestled right on the gorgeous beach with super-soft, sugary sand and teal blue waters. 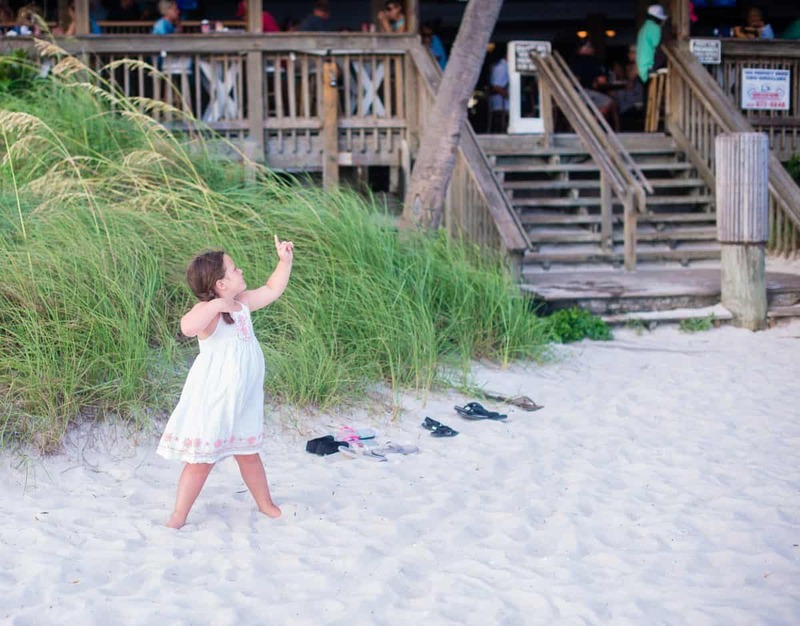 Your little one will adore playing on Schooner's beach (maybe even try some beach volleyball) while waiting for the meal to be served, and you will be absolutely obsessed with the sunset that you'll see at this one-of-a-kind dining experience. We have two words for you: Hippie Hash. It's the most unforgettable, delicious breakfast meal quite possibly of all time. 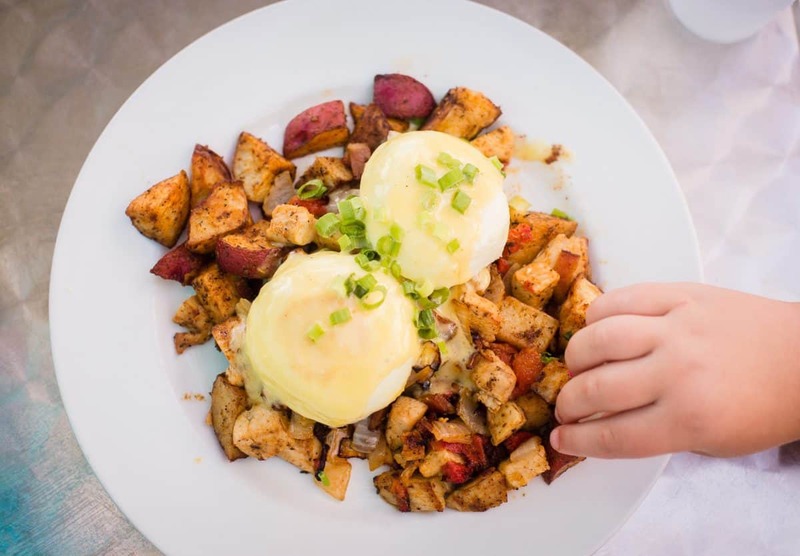 Roasted potatoes with a delectable blend of spices, chicken, and two poached eggs, all topped with Hollandaise sauce - it's a surprisingly unique combination, and a truly amazing flavor explosion. 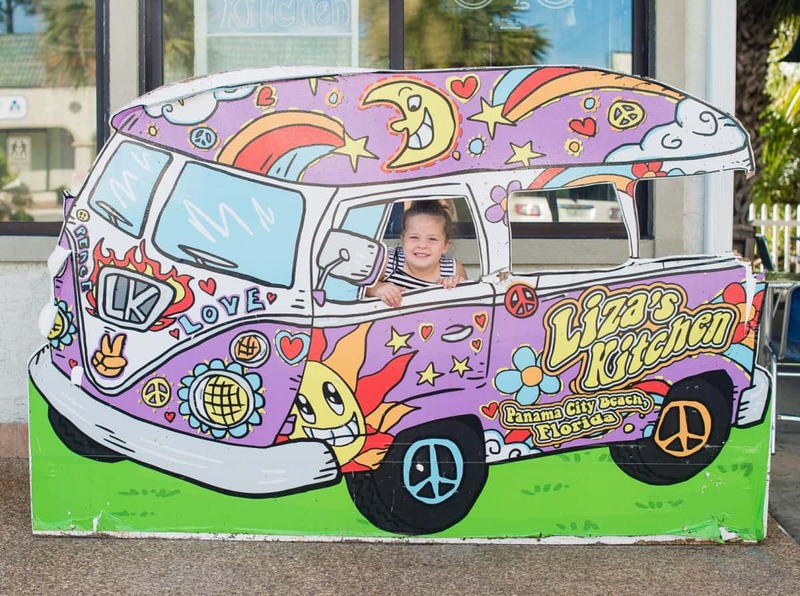 Liza's Kitchen is another spot that is loved by locals, and a hidden gem of Panama City Beach. 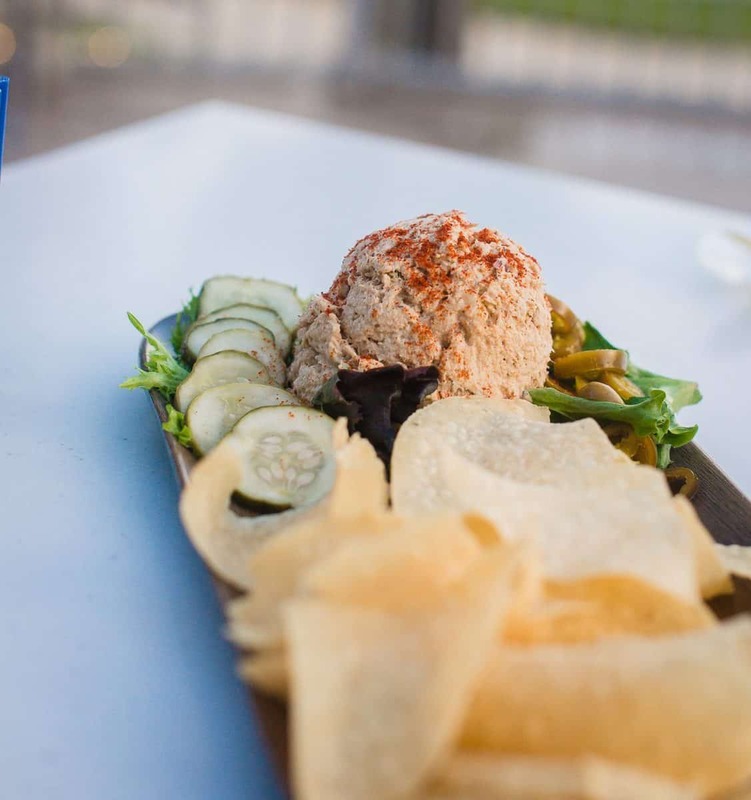 Dine outside, taking in the warm Florida air and cool ocean breezes, or inside. 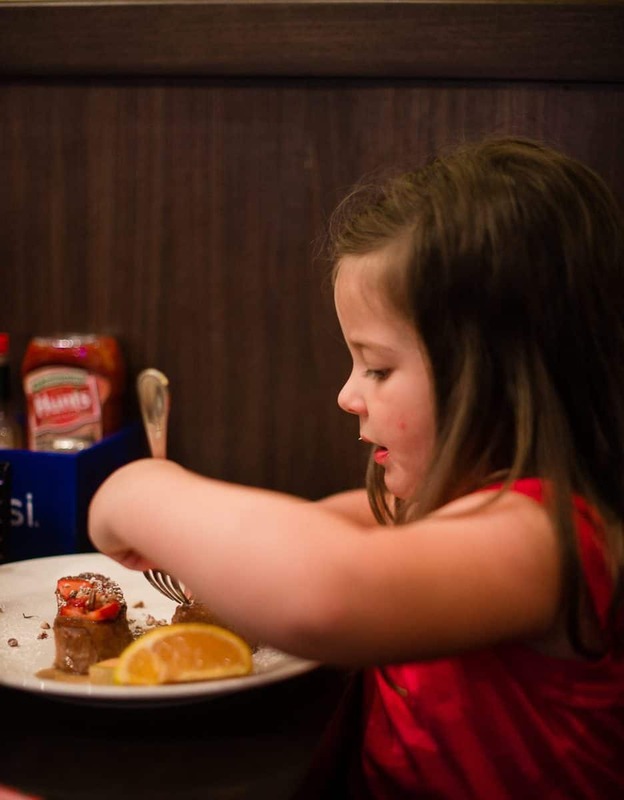 Either way, you and your child will have a blast and enjoy a fantastic breakfast to kick-start your day. 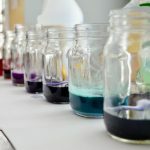 This is another place where everything is made in-house, even the mayonnaise, with nothing but the freshest ingredients. Don't miss their famous Focaccia bread and delicious espresso beverages. 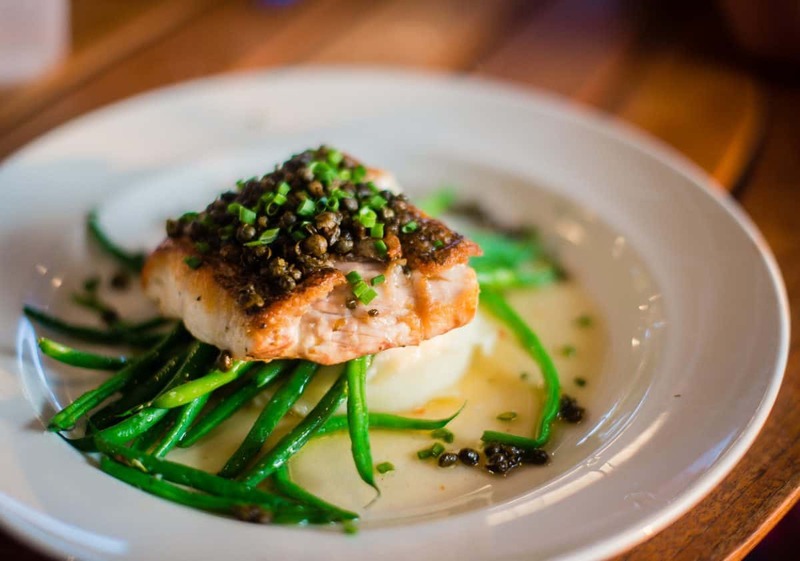 The Grand Marlin is truly an unforgettable dining experience, and we can hardly put into words how incredible it was. 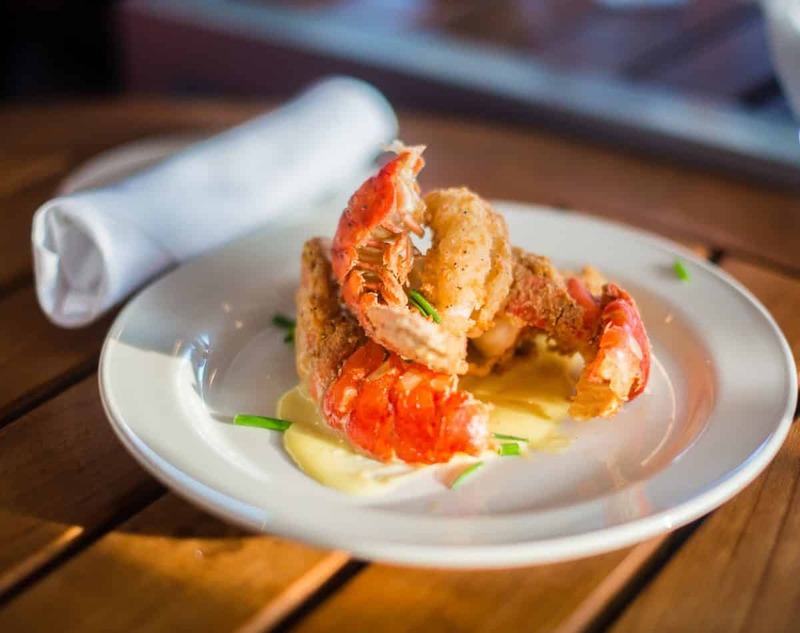 Located on the Lighthouse Marina of the Grand Lagoon, you can watch fishing boats and yachts come in and out, and you might even catch a glimpse of champion-sized fish being weighed and measured on the docks. Apart from the unique, stunning atmosphere, the food - oh, the food - is once-in-a-lifetime delicious. 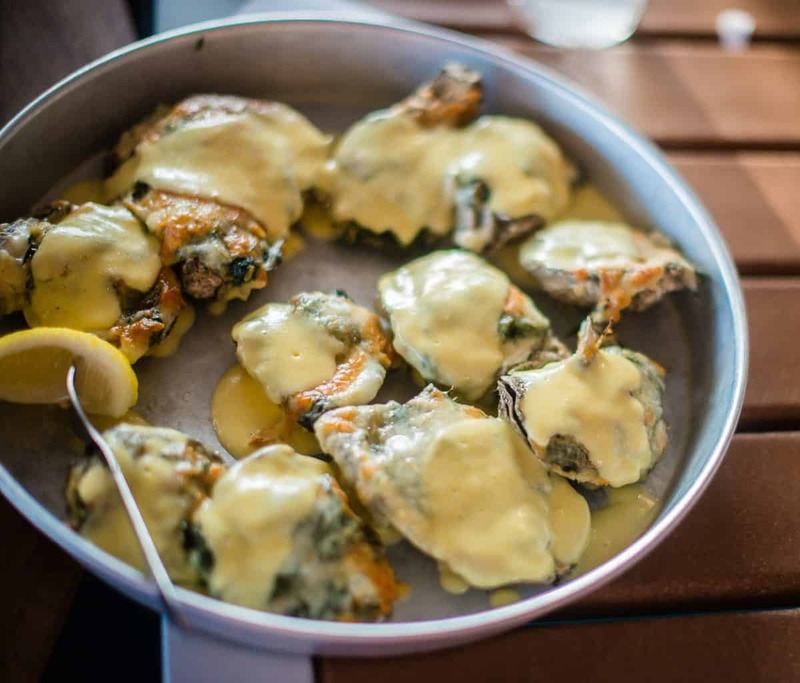 Whether it's fried lobster tails, oysters Rockefeller, or one of their daily fresh fish specials, you simply cannot go wrong here. The cocktail menu is out of this world. 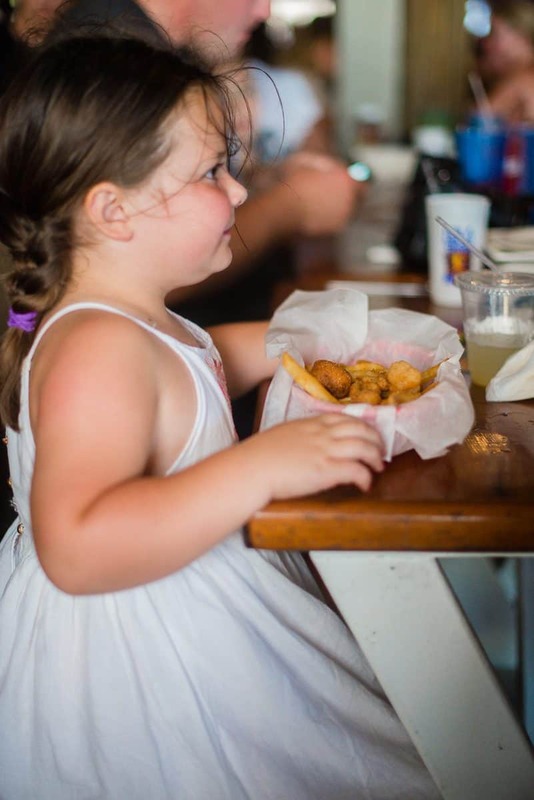 The award-winning Grand Marlin is where you want to be for a special, upscale dining experience, that's also very family-friendly (your child will adore watching the boats come in and out!). 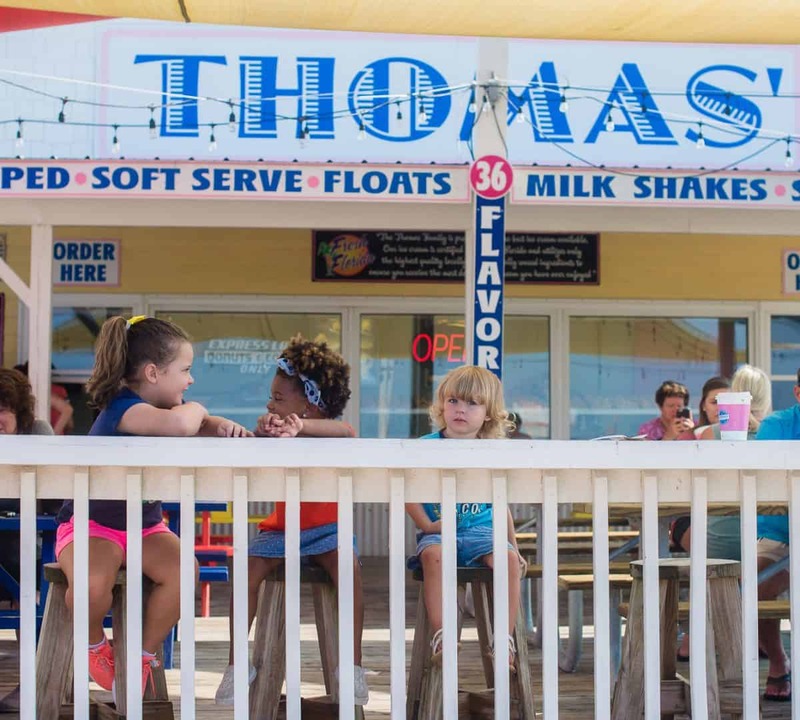 With flavors such as cinnamon bun, peaches & cream, red velvet, and key lime, Thomas Donut & Snack Shop is the best place for donuts in Panama City Beach. 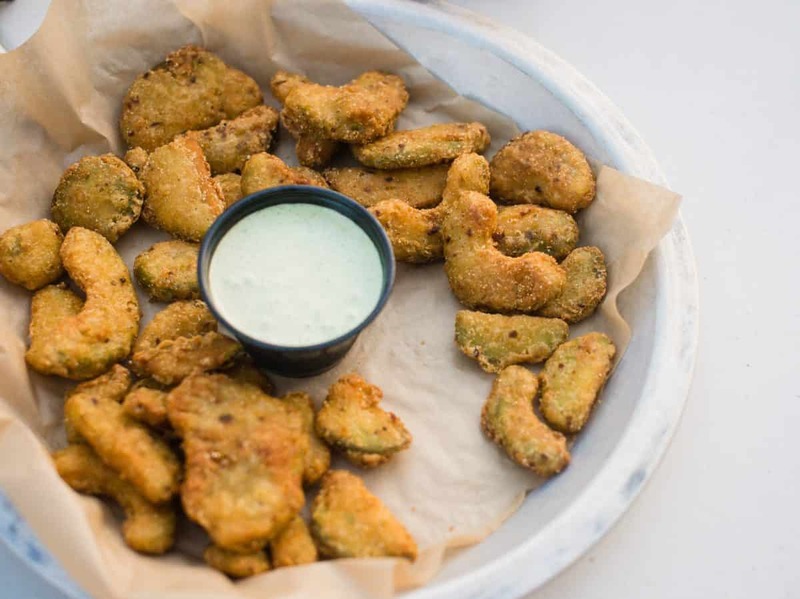 You'll enjoy views of the ocean as you dine outside at this local favorite, and their menu goes beyond just donuts. 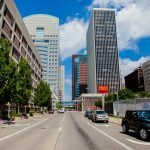 From grits, to muffins, to kolaches, to breakfast sandwiches (and a whole host of lunchtime options), there's something for everyone. 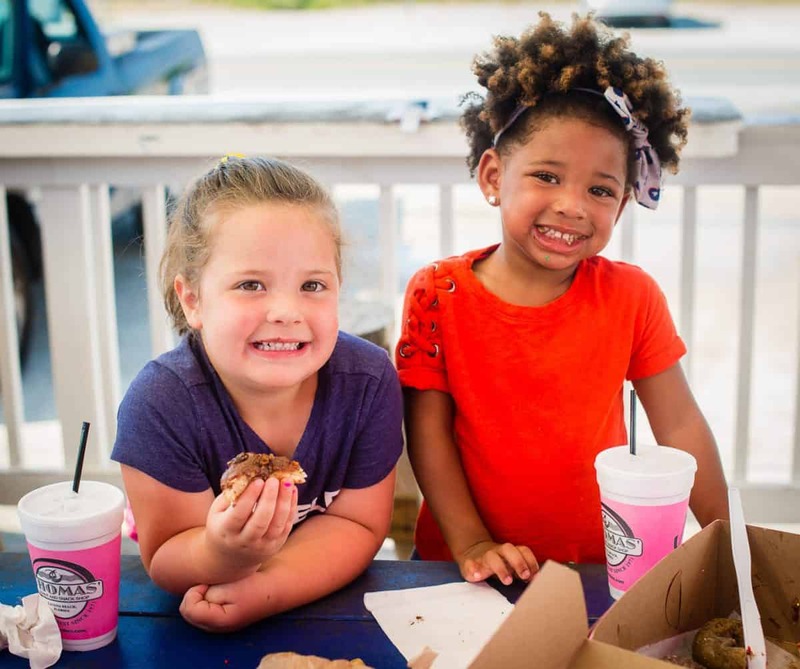 It's virtually impossible to leave Thomas Donuts without a big smile, a full belly, and lots of joy. 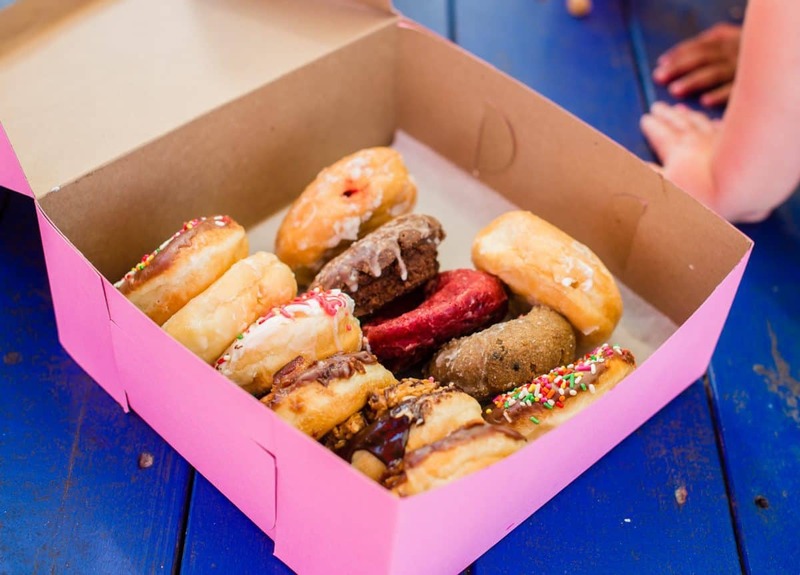 Whether you go for pre-beach donuts, or a post-swim snack, this place will not disappoint. 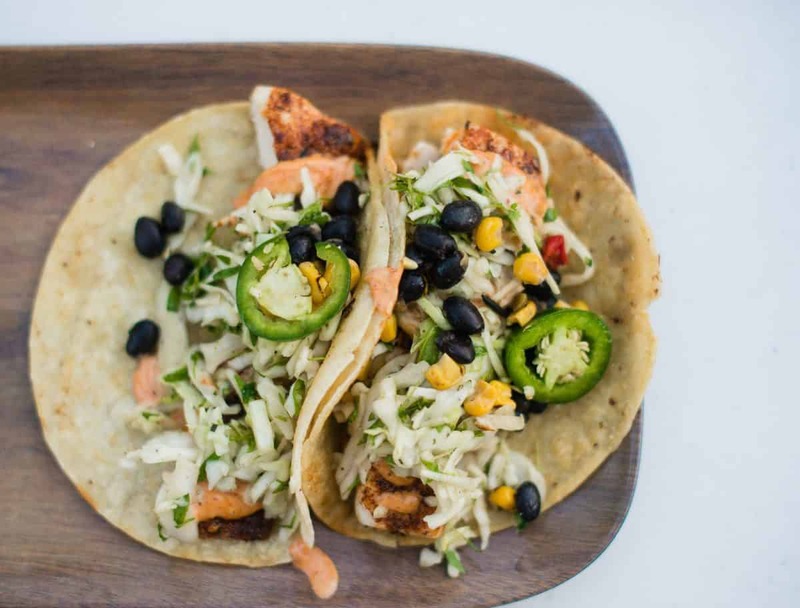 Tacos, burritos, margaritas, oh my! 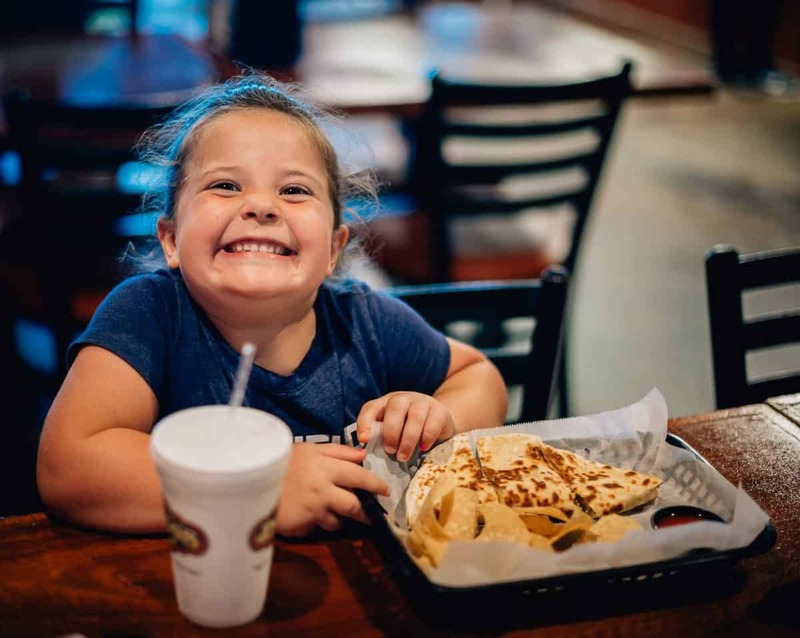 Diego's Burrito Factory is right on the strip of Panama City Beach, next door to Gulf World, and is a fun, laid-back place that children and adults will adore. Everything is made to order, fresh as can be, right in front of you, and the options are limitless. 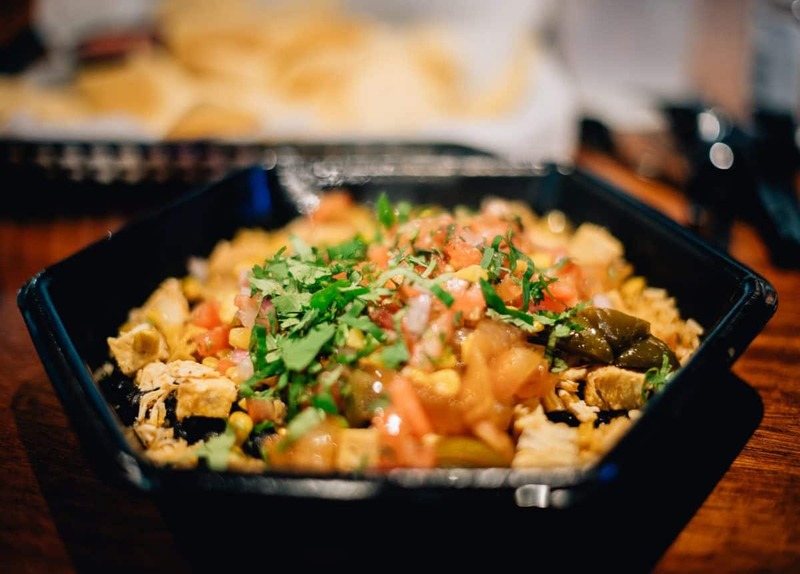 Crisp cilantro, fresh-made pico, and all the guac - there is nothing on the menu that you won't love. Did we mention homemade tortilla chips and salsa? Chipotle has nothing on Diego's - this is the place for Mexican food in PCB. 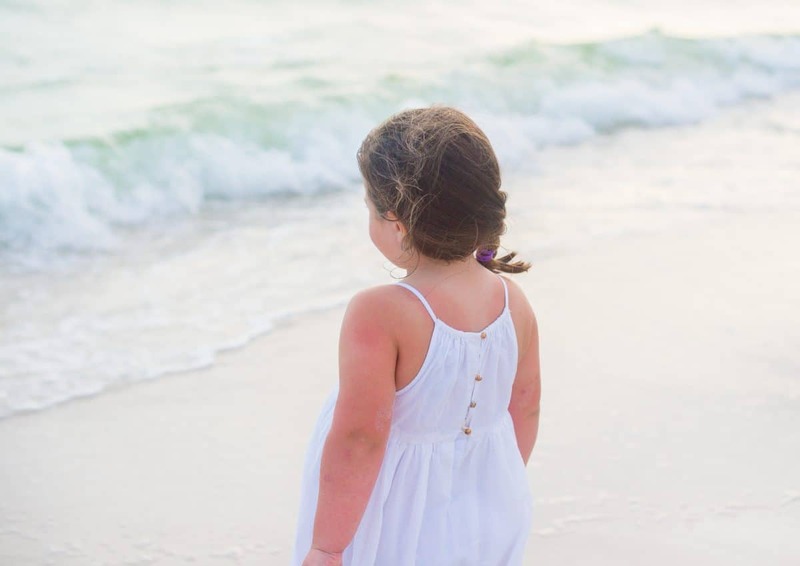 Panama City Beach will forever have a place in our hearts, and it is a destination we will be visiting year after year. 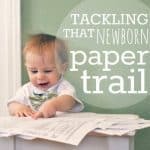 It's sure to be a massive hit with your family, and you should absolutely start planning your trip there today! For more travel features, check out our TRAVEL section. 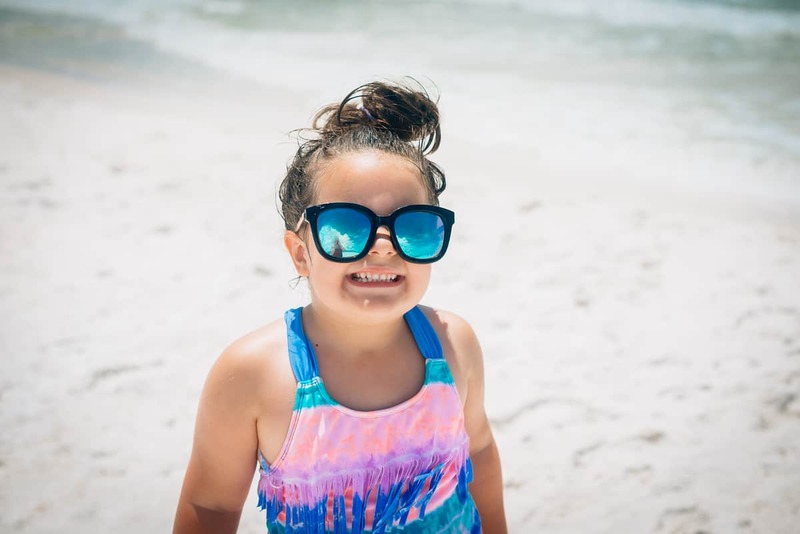 And if you're looking for more fun activities in Panama City Beach, check out these 2019 events!